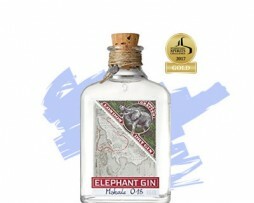 Elephant Gin is distilled using fourteen botanicals, including rare African ingredients sourced from the length and breadth of the continent to create the gin's distinctive flavour profile. These include the savannah's “superfruit” Baobab, the extraordinary Buchu plant with a flavour similar to blackcurrant, and the African Wormwood introducing a sharp floral note. Locally sourced spring water, fresh apples and other select ingredients enhance the purity and smoothness of the gin's finish. Macerated in Elephant gin for several months, the wild sloe berries add a light and sweet, yet richly rounded, fruity aroma. 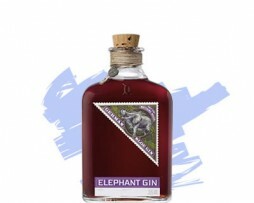 In order to retain the highest amount of aromatic flavour components, Elephant Sloe Gin remains unfiltered and can be identified by a natural cloudiness. The result is a red-tinted spirit that unfolds a complex bouquet bursting with flavours.